When it comes to car safety, look no further than the Volvo XC90. We say this because it has just been confirmed that not a single person has ever died in the Swedish SUV. Figures provided by the police as a result of personal injury accidents on public roads show that no driver or passenger fatalities have been reported in an XC90 since records began in 2004. In 2012, Volvo announced its goal that no one will be killed or seriously injured in a new Volvo car by 2020 and this latest news is a massive stepping stone towards that aim. More than 70,000 XC90 have made their way to UK roads since it was released in 2002, which adds extra weight to the achievement. Volvo is a brand that has long been renowned for its focus on safety and the entire Volvo range has been fitted with automatic emergency braking as standard since 2014. 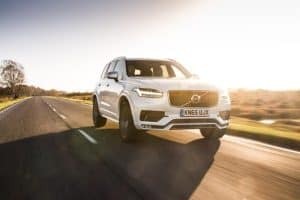 Meanwhile, the second-generation XC90, which launched the same year, debuted two world-first safety aids: run-off road protection and automatic emergency braking at junctions. This means that if the car inadvertently leaves the road, run-off road protection automatically tightens the front seatbelts to keep occupants in the safest possible position. Meanwhile, automatic emergency braking activates if the driver turns into the path of an oncoming vehicle at a junction. Commenting on the XC90’s safety record, managing director of Volvo Car UK Jon Wakefield said: “Volvo has been at the forefront of automotive occupant safety since we invented the three-point seatbelt in 1959, and our determination to build the safest cars possible has been backed up not only by the safety awards we have won, but most importantly by the real-life safety record of our cars.